Warren Academy was established in 1992. 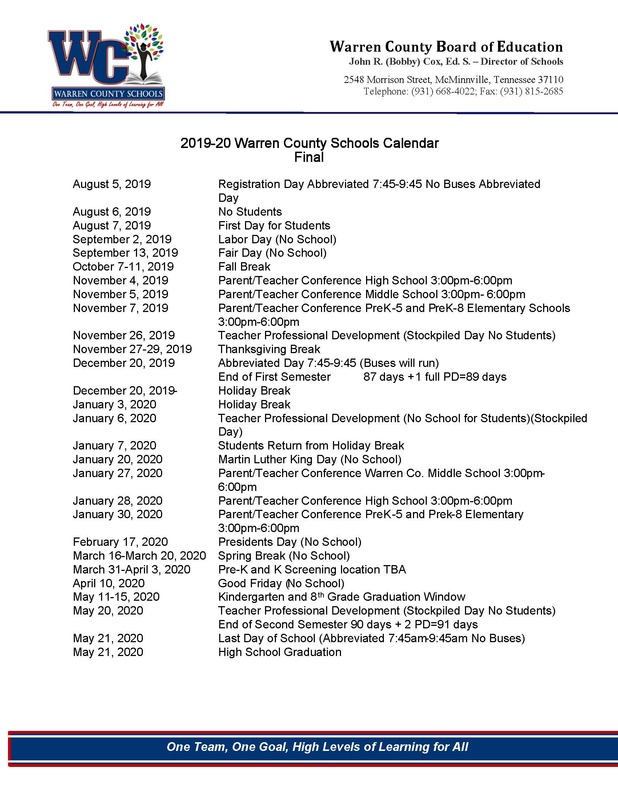 The Academy provides an alternative educational setting for Warren County Schools' students, grades six through twelve, who have school and/or district rule violations severe enough to warrant a punitive placement as determined by the district's discipline board. The Academy also offers an educational option for zero-tolerance offenses when applicable. Our focus is behavior modification and an emphasis on academic refinement. We are technology driven and strive diligently to work closely with the origin schools for the overall betterment of our students.